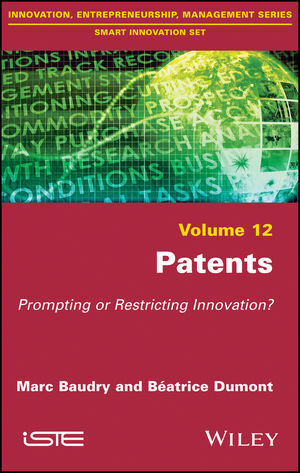 Long considered an integral part of any development strategy and growth based on innovation, the validity of patents is more controversial today. Whilst most economists agree on the need for a reform or at least an adaptation of patents to the realities of today’s business world, some go further and ask for an in-depth change. On what elements of analysis are they based? Where are the fault lines? This book seeks to answer in a rigorous manner whilst using concrete examples. Marc Baudry is professor at Paris-Nanterre University, Researcher at EconomiX (CNRS) and Co manager of the “C02 pricing and low carbon innovation” program at the Climate Economics Chair. His work intersects with environmental economics and the economy of innovation. Béatrice Dumont is professor at Sorbonne Paris Cité, Researcher at the CEPN (CNRS) and a visiting professor at the College of Europe. Her research focuses on the economics of innovation and intellectual property, as well as competition policy.